Wear protective clothing. You can purchase UV protective clothing at REI or L.L. Bean. If you can see through a shirt when you hold it up to the light, it will not protect your skin from the sun. An Important Fact to Remember….. Remember that an annual full body check is vitally important. It’s not fool-proof and you need to do regular self-examinations. If you notice any skin changes or feel an area was missed, call the office for an appointment. 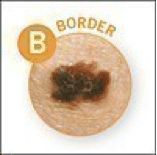 It’s important to take time to look at the moles on your skin because this is a good way to find melanoma early. 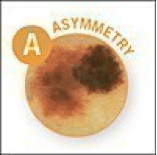 When checking your skin, you should look for the ABCDEs of melanoma. A = Asymmetry One half is unlike the other half. 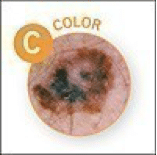 C = Color Is varied from one area to another; has shades of tan, brown or black, or is sometimes white, red, or blue. 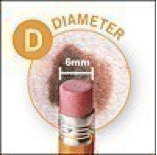 D = Diameter Melanomas are usually greater than 6mm (the size of a pencil eraser) when diagnosed, but they can be smaller.